At Shaare Zedek Medical Center we have many exceptional departments that are renowned throughout Jerusalem, Israel and in some cases worldwide. Below is a short description of some of these “Centers of Excellence” and the amazing accomplishments they are achieving daily. According to statistics, heart disease is the leading cause of premature death and disability in Israel. More than 40% of all deaths can be attributed to cardiovascular disease. Israel still ranks among the world’s top 10 countries in the incidence of death from heart and vascular disease, despite a dramatic decrease over the past 20 years. In 1994, as a result of a major gift from the Jesselson family, Shaare Zedek established the Jesselson Heart Center, a 70,000 square foot facility encompassing the entire 10th floor of the Hospital. 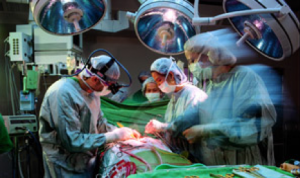 The Center was created in response to a long country-wide waiting list for open-heart surgery and invasive heart procedures such as catheterizations. Today, the Jesselson Heart Center is one of Israel’s leading providers of comprehensive cardiac care and an international center of excellence in the implantation of stents, stentless aortic valves and in the repair of mitral valves. The Center attracts patients from throughout Israel and even from abroad; 30% of its patients are not Jerusalem residents. A complete spectrum of cardiac evaluation and testing is available in the Bendheim Department of Cardiology. A yearly average of 2,700 Heart Catheterizations (50% of which are interventional angioplasties with stent implantation) and thousands of echocardiograms, treadmill stress tests and Holter monitor tests are performed. In all, the Center’s outpatient clinics provide cardiac diagnosis, treatment, rehabilitation and preventative counseling for more than 12,000 men, women and children each year. Despite the increased number of new non-invasive cardiac techniques, some cardiac problems must still be addressed by surgery. 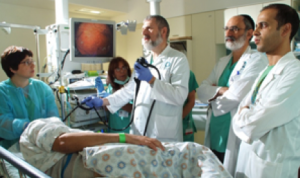 Other Israeli medical centers often refer their most difficult cases to the Jesselson Heart Center’s Ruth and Hyman Matloff Department of Cardiothoracic Surgery. This department has achieved remarkable results in coronary bypass surgery, despite a patient mix with greater than average risk factors. 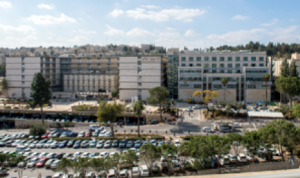 Following the appointment of a senior thoracic surgeon in 2000, the department is now putting new emphasis on lung surgery, and has quickly become the primary destination for this type of surgery in Jerusalem. Emergency medicine is an ever evolving specialty and Shaare Zedek has always been at the forefront of the newest and most innovative practices, both medically and technologically. In September of 2004, Shaare Zedek completed a new ER that was three times the size of the previous department. Because of its central location, Shaare Zedek was the recipient of approximately 77% of those injured in the spate of stabbings and other terrorist attacks in Israel since the fall of 2015. Thanks to its stellar reputation, the Shaare Zedek ER now receives more than 140,000 patients each year. Designed with the visionary guidance of the late Dr. David Applebaum, who was murdered together with his daughter Naava in a terrorist attack in 2003, the Emergency Department is brilliantly constructed in a ring concept, with the outer rings used for the less serious patients, while the inner ring serves as a central core of activity for aggressive and sophisticated responses to the most critical cases. One of the most impressive innovations implemented in the ER is the computer tracking of every patient. From the moment patients arrive at the ER, they are registered in the system, which lists their arrival time, the name of the treating physician, their tentative diagnosis, their location in the department, which tests have been conducted, which drugs have been administered, which procedures have already been carried out and whether any additional procedures have been scheduled. A large tracking board in the center of the department enables staff members to determine at a glance the status of any patient. Our ER epitomizes the synthesis of compassion and technology, and lives by the credo that we are about more than just steel, mortar and bricks. We heal with our heart, we heal with our faith and we heal with our ability to treat patients, not diseases. There is nothing as joyous as the birth of a newborn; and bringing newborns into the world is something Shaare Zedek does better than any other hospital in Israel, with a record 24,400 births in 2016! Walking through the hotel-like atmosphere of the beautifully designed Wilf Woman and Infant Center, it is no surprise that after conducting an in-depth survey rating 24 delivery rooms throughout Israel, the daily newspaper Maariv rated Shaare Zedek’s delivery room as number one. The only hospital to receive a perfect score, the department promotes a sense of family, comfort and care as the staff addresses the full range of women’s health care issues from infancy to old age. The Center, which opened in 1999, spanning the entire 9th floor, focuses on everything from treatment of endocrine problems in young adolescents, to gynecological-oncological surgery; from consultations concerning the changes triggered by menopause to the prevention of injuries due to osteoporosis. Whether offering emotional or physical support and care, Shaare Zedek provides a safe nurturing haven for women during their most extraordinary times as well as during their most trying times. In 2014, the 10th floor of the new Next Generation Building opened and welcomed the newly expanded Huberfeld Birthing Center. 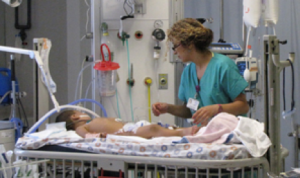 The Glaubach Department of Pediatric Emergency Medicine has now been open for several years and is making a significant difference for the children of Jerusalem. The Pediatric ER has been designed with the same high standards that define the adult ER at Shaare Zedek — with the specific goal of providing the most advanced and comprehensive level of critical care possible and offering highly personalized and compassionate attention for the needs of pediatric patients. As a dramatic upgrade from the Hospital’s previous pediatric emergency facilities, both in terms of size and scope, the Glaubach Pediatric Emergency Room ensures that when the need arises, Shaare Zedek is there for the children of Jerusalem. With more than 22,000 annual births, there are a sizable number of babies (approximately 700 per year) that leave the womb not yet ready for the rigors of the outside world. For them, we are proud to be able to offer the services of Shaare Zedek’s Huberfeld Neonatal Intensive Care Unit, known as the NICU. 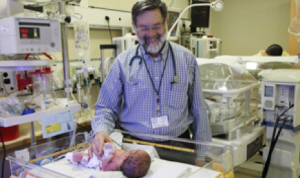 The NICU is under the direction of Professors Michael Kaplan, Professor Kathy Hammerman and Professor Michael Schimmel. All three are internationally recognized researchers and clinicians who have been at Shaare Zedek for several decades and have been the instrumental figures in the Unit’s rapid development. The Unit offers parents the reassurance that should their infants require intensive observation or treatment in these critical early days, they can rely on a superb facility whose experience and expertise will ensure the best possible care for their child. In addition to the babies that come to the NICU from our own delivery rooms, a number of cases each month are referred from other hospitals throughout the country due to our well-established reputation for excellence in caring for premature infants. The NICU, located only feet away from our delivery suites, opened in 1998 as part of the Wilf Woman and Infant Center, and was originally designed to care for 30 babies in the busiest of times. A growing need for this facility combined with our sterling reputation has come to mean that 30 is on the low end of NICU patients typically treated at any given time, with that number routinely reaching 50. Despite the opening of an annex, space was limited and expansion of the NICU became one of Shaare Zedek’s most pressing development projects. Today, we are proud to say that Shaare Zedek’s NICU is Israel’s largest and most advanced, housing 70 independent infant stations over an area of approximately 3500 square feet. The Unit is staffed and outfitted with equipment that allows us to provide the most advanced levels of care possible — in an area of modern medicine where accuracy and technological development can make a remarkable difference in the prognosis of the patient. Intensive care in all major NICUs around the world is divided into three primary levels, A, B and C. Level C, the least intensive of the three is intended for infants born in multiple births who may require a slightly more monitored level of treatment than they would receive in the “Well Baby” nursery. These children typically face no major health risks and are often discharged only a couple days later than those not in the NICU. The Laulicht Family Level A Unit refers to the most advanced level of care and is often intended for babies born with a very serious threat to their lives. They are generally classified as being in this level based on a birth weight of less than 700 grams (1.5 lbs) yet more specifically due to conditions requiring supportive care such as mechanical respiration. Many of these babies are born well in advance of their due dates – sometimes as early as 24 weeks of gestation, although most cases at Shaare Zedek in the Level A range are closer to 26 to 28 weeks. The Harvey Felsen Intermediate Level B Unit, is for children with developmental issues at birth that require an advanced level of care. They often remain in the NICU for a period ranging from several days to several weeks or even longer. With the dedicated care that the NICU is able to offer alongside advancements in medical technology, the majority of these children are able to be discharged from the hospital and usually enjoy healthy lives with few or no major long-term developmental problems. Despite the very difficult and real challenges faced by a family when their child is treated in the NICU, there is, as indicated above, very real reason to hope for the best- and Shaare Zedek is fortunately able to draw inspiration from its many success stories. The greatest source of hope comes when children born at very premature stages return to the hospital years later to give thanks to their physicians- an experience that proves to the medical teams that remarkable things can happen. In fact, the hallway leading into the NICU at Shaare Zedek is lined with the photos of the Unit’s “success stories” a welcome reminder for both the families and the medical staff that despite the many challenges, this area of the hospital is one defined by great hope and optimism. It is also important to acknowledge that due to Shaare Zedek’s leading stance in maternity care and in particular in the treatment of premature infants, the hospital has assumed an important role in the realm of scientific research. All of the department’s heads, as well as numerous members of the NICU medical staff have been published in high-level journals. Moreover, results of studies performed at Shaare Zedek have been used to develop new protocols in hospitals around the world. 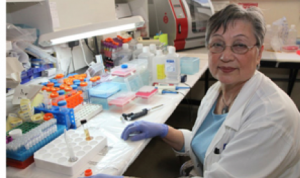 Imagine a world without diseases such as Tay Sachs, Gaucher Disease and Canavan’s Disease. Imagine having the ability to detect the potential for developing breast and ovarian cancer so that women have more control over their health. Such lofty ideas are no longer merely dreams, they are already being implemented at Shaare Zedek and moving us into a healthier disease-free future. Shaare Zedek’s Fuld Family Department of Medical Genetics is currently the most prestigious unit in Israel in terms of both research and clinical work. As a center of excellence, the ramifications and implementation of our research extend far beyond the Jerusalem area. Our research has established us as key players on the world stage in research of the BRCA1 and BRCA2 genes that are associated with breast and ovarian cancer, and of Alzheimer’s disease. The Department’s crowning achievement is a highly sophisticated laboratory capable of conducting Pre-implantation Genetic Diagnosis (PGD), a technique for screening the embryos of a couple or the eggs of a woman with a risk of giving birth to a baby with a genetic disease. Only those eggs or embryos that are determined to be disease-free are used to create a new life. PGD is combined with in vitro fertilization (IVF) to bring healthy babies into the world. Shaare Zedek’s PGD lab is capable of performing the procedure for any disease in which the genetic characteristics are known including Tay-Sachs, Fanconi Anemia, Gaucher Disease, Bloom Syndrome, Canavan Disease, and familial dysautomia. Without PGD, a mother or father who actually have a genetic disease have a 50% chance of giving birth to a child with the disease. With the PGD method used at Shaare Zedek, the risk is virtually zero. Located on the third floor of the Hospital in an area encompassing more than 6,000 square feet, Shaare Zedek’s new, one-stop multidisciplinary and comprehensive Diagnostic Breast Health Center combines mammography with an integrated, holistic approach that also incorporates ultrasound and MRI imaging. The new Diagnostic Breast Health Center will complement the services of the Breast Health Clinic, currently under development, which will be responsible for the continued medical care of patients. The new Center is also working in concert with other relevant departments within the Hospital. The Diagnostic Breast Health Center is collaborating with The Fuld Department of Medical Genetics at Shaare Zedek to identify and treat women with BRCA1 and BRCA2 genes, which are associated with breast and ovarian cancer, as well as Alzheimer’s disease. In addition, Shaare Zedek has a Noga Clinic for healthy carriers of defective BRCA genes. It is the only clinic of its kind in the country. “Noga” in Hebrew means “radiance” and is also the acronym for Women at High Risk. Breast cancer is widespread in Israel. While many women can be successfully screened with mammography, others who have a family history of cancer, dense breast tissue or other factors that define them as “high risk” need an ultrasound which can find things that a mammogram can’t. 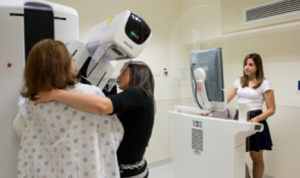 MRIs are also being used for breast cancer diagnosis. The new Center utilizes all of these to screen for, and type cancers. Home to one of only four Pediatric Dialysis Units in all of Israel, and the largest in the country, Shaare Zedek’s Department of Nephrology has come to a point where it is regularly filled beyond capacity, reflecting on the critical need that will be served with the new Wilf Children’s Hospital. Shaare Zedek believes strongly that children should receive medical care separately from adults whenever possible. Even the best hospital can be an intimidating place for a child, and this feeling is exacerbated if they are forced to enter a world of ill adults to receive treatment. Young patients in the Pediatric Dialysis Unit with end-stage renal disease must receive treatment three times a week, for several hours each time, often for several years. Most of these children are awaiting a kidney transplant. As such, the Hospital becomes a second home for them, and we are committed to making this home as welcoming as possible. Socially, the Pediatric Dialysis Unit is a different world – and perhaps points the direction to Israel’s future. More than 70% of the Unit’s patients are Arab children, and they and the Jewish children, after spending the better part of the day together, get to know each other well. In many cases, close friendships develop, something that would be virtually impossible in the world outside the Hospital. Present in the Unit at all times are both Hebrew and Arabic-speaking nurses, so every patient and family member can make him or herself understood. In fact, because the young patients miss many hours of school due to their illness, both Hebrew-speaking and Arabic speaking teachers, all accredited and licensed by the Ministry of Education, are present in the Unit every day to help the children, of elementary to high school age, keep up with their schoolwork as much as possible. The children’s parents often develop close relationships as well, as they discover over a cup of coffee that there is much more that unites them – particularly the problem of coping with an ill child – than that which divides them. Shaare Zedek as a whole is a model of coexistence, and this is nowhere more evident than in the Pediatric Dialysis Unit. In recent years, few, if any, medical fields have undergone as dramatic a development as the discipline of gastroenterology. Fueled largely by advancements in medical science allowing physicians and surgeons better imagery of, and access to, critical parts of the digestive system, thousands more patients can be treated in aggressive and life-changing ways. Throughout our more than century-old history, Shaare Zedek Medical Center has always been committed to embracing the latest medical trends and developments for the benefit of our patient community. 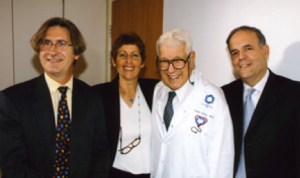 That was the basis for opening our Digestive Diseases Institute, and in so doing, committing ourselves to an ambitious program which has established Shaare Zedek as a national leader in gastroenterology, the branch of medicine involving the study of the digestive system and its disorders. In recent years, with the appointment of Professor Petachia Reismann as the Director of the Department of General Surgery, the Hospital has become increasingly well known for its expertise with particularly complex surgical procedures related to diseases of the digestive system. Professor Reismann is among Israel’s leading practitioners of laparoscopic surgery, particularly of the gastrointestinal tract, and regularly lectures in many of the world’s most well respected hospitals. Laparoscopy is a procedure that uses a flexible tube with a tiny camera that sends pictures of the inside of the abdomen to the physician. In the area of pediatric gastroenterology, Shaare Zedek has also garnered a stellar reputation. Under the guidance of Dr. Dan Turner, the Hospital has embarked on many new areas of activity and is now often called upon to perform increasingly complex procedures. These accomplishments and our reputation already in place strongly position us to take the necessary next steps in our forward development. Shaare Zedek has always excelled at treating patients humanely and compassionately, but as a result of this new Center, this treatment now infiltrates every aspect of care at the Hospital. Under the direction of Dr. Nathan Cherny as Chair of the Department, its mandate is to introduce a higher level of humanism and personal respect into all aspects of the hospital. The Center includes the use of cosmeticians for patients with chronic diseases and provides social work services for a multi-ethnic multi-cultural society and translators in patients’ native languages. The Schlesinger Institute is a world leader in research of ethics and medicine. Its services and facilities are also a part of the Center. The Surgical Operating Complex at Shaare Zedek Medical Center, which opened in the Fall of 2010 is today the fastest-growing surgical operating facility in the Jerusalem area. 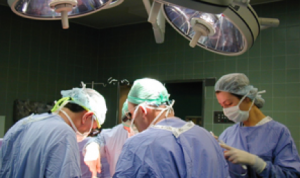 In 2013, the Complex performed a total of nearly 35,000 surgical procedures which include a wide variety of procedures ranging from outpatient surgeries (9,189) to complex open-chest surgeries. Beyond the number of surgeries, Shaare Zedek has proven itself as an expert in addressing a wider scope of procedures, most prominently, the Hospital’s laparoscopic procedures. Shaare Zedek is offering a service in this realm that exceeds the capabilities of all other Israeli hospitals and many leading facilities in the Western world. In 2013, 1,455 laparoscopic procedures were performed utilizing new techniques and equipment and attracting patients from across the country and even abroad. Particular attention has been paid to procedures aimed at removing blockages in the gastrointestinal tracts via laparoscopy. As just one example of our particular area of expertise in this regard, Shaare Zedek’s surgeons, in close coordination with the hospital’s recently expanded Digestive Disease Institute, has been credited with helping hundreds of patients suffering from particularly debilitating conditions like Inflammatory Bowel Disease (IBD) and Crone’s Disease. Patients who have been forced to suffer the painful effects from these diseases, often for lengthy periods, gain significant health and quality of life benefits from the procedures which Shaare Zedek is able to offer them. 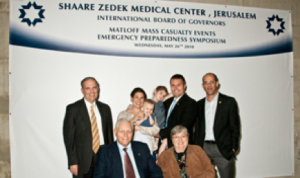 Shaare Zedek has launched an ambitious and critical project to prepare the Hospital and the citizens of Jerusalem for all types of mass casualty events – The Matloff Family Emergency Preparedness and Disaster Response Center. This comprehensive disaster management center will serve as an urgent medical care facility for mass casualty events as well as an educational resource for medical professionals and first responders throughout Israel and the world. 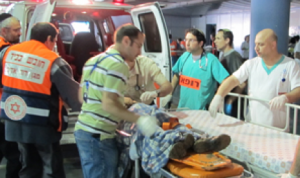 In the event of a national emergency or mass casualty attack, the entire second floor of Shaare Zedek can transform quickly into a fully functioning underground medical facility. This floor presently houses the emergency departments, pharmacy, surgical operating complex, medical imaging facility, key communications facilities, and other core operations. It also includes a large, protected facility of approximately 15,000 square feet which will have 150 beds to accommodate newly admitted patients and/or patients already admitted to the Hospital who could not be otherwise relocated. It will contain a treatment and decontamination unit with specialized isolation areas to deal efficiently with large numbers of patients and a comprehensive computerized system to permit patients to be tracked and directed for appropriate treatment.